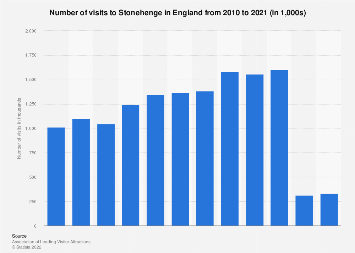 Today, the long list of UNESCO World Heritage Sites can trace its origins back to November 1972 when UNESCO signed a convention to protect the common cultural heritage of humanity. Since then, the program has grown to become one of the world's most widely recogized international agreements and it has been ratified by 193 state parties. 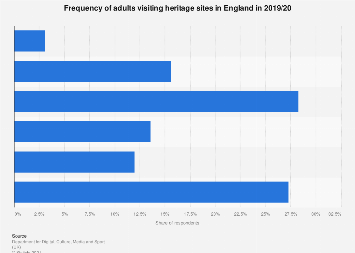 Out of the 1,092 UNESCO World Heritage Sites across the world, 845 are cultural, 209 are natural and 38 are a mixture. Out of all countries, Italy boasts the most World Heritage Sites with 54 in total. Most of them are cultural and some of the best known are Pisa's Piazza dei Miracoli (home to the famous leaning tower), and the archeological remains of Pompei, Herculaneum and Torre Annunziata. China is in second place with 53 while Spain comes third with 47. 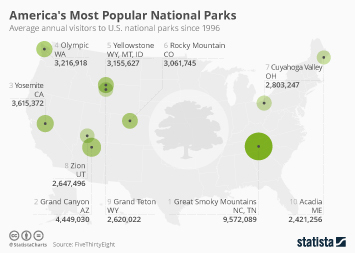 The U.S. kicked off its own list in 1978 when the Meda Verde National Park and Yellowstone National Park were designated UNESCO World Heritage Sites. 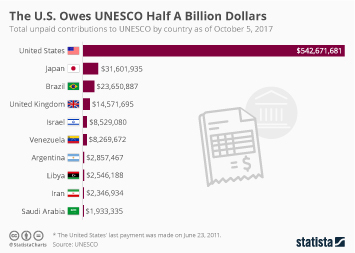 In October of last year, both the U.S. and Israel announced that they would be withdrawing from UNESCO, citing "continuing anti-Israel bias". The withdrawal will come into effect on the 31st of December. 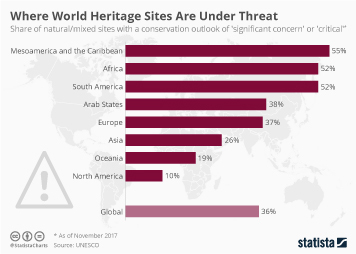 This chart shows the number of UNESCO World Heritage Sites by country in September 2018.